"Stop! Don't pay that traffic ticket until you talk to us." 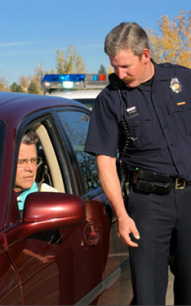 Dallas-based traffic ticket dismissal attorneys who fight for YOU. Know your rights - call us today to speak with a professional attorney. We have been helping DFW citizens just like you since 2004 with a 95% success rate. Remember, your traffic ticket case is a criminal case, and you have important constitutional rights, guilty or not. We protect and exercise these rights. Knowledge of the applicable law, the procedures and quirks of a certain court, and relationships with court personnel, prosecutors, judges and peace officers help us get the results you need, almost always avoiding a trial. Even the most experienced felony criminal defense lawyers know better than to go into a Dallas County court without their own traffic ticket attorney. We offer competitive pricing and treat all of our clients like family members. If you need help with a traffic case, please call us today. Click here for custom plantation shutters and custom exterior work. We helped DFW Premium with their business set up. While we do not offer personal injury or 18 wheeler accident representation, our friend Michael Hawk can help with such matters should they arise. Mr. Hawk handles cases state-wide with an emphasis on Dallas, Tarrant and Collin County courts. Remember: Not all law offices and traffic courts are created equal. Get a free consultation today to learn more about what to expect with a dismissal or speeding charge. 2011 Dunlow - Browne Law Firm. Serving DFW. Located in North Dallas.